The only appointment I had this week was my 20 week scan on Wednesday, 9th of March. 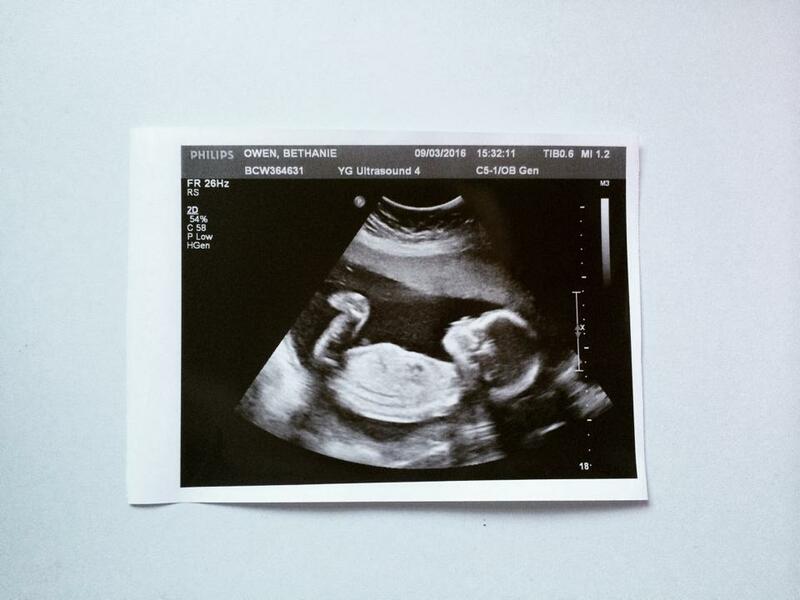 You can read about my 20 week scan experience here. Still no change really. I haven't been snacking an awfully lot and eating much better than I did when I was pregnant with my girls, so I am pleased with that. I have been craving for ice cold drinks and I am still loving milk at the moment. I love my striped maternity jumper I had from Bonprix and I am still living in my maternity leggings. I can feel so uncomfortable with certain clothes at the minute. Some clothing I look much bigger and others I don't look as big but it's pretty hard to miss now! 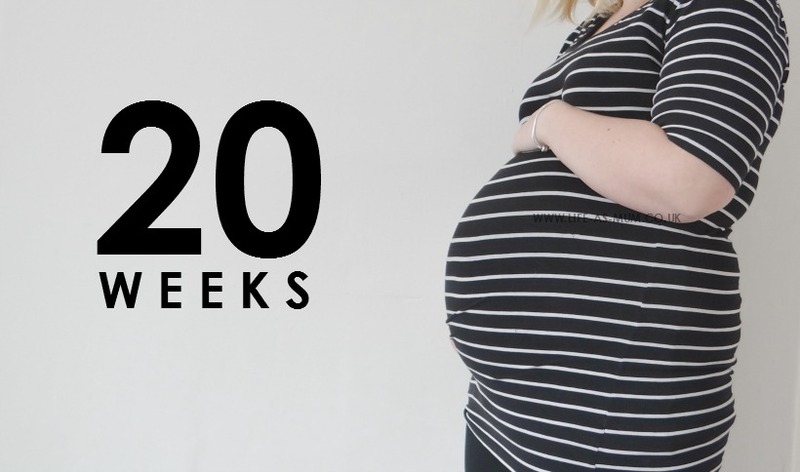 If you read my 19 week pregnancy update you may have noticed I was awfully stressed and emotional. I haven't been that bad this week. Most days I have had the odd times of being emotional and feeling really low but compared to last week it's not too bad. Aswell as baby has been moving a lot more than he has been, I think that made me feel happy too! I'm still getting the sore and itchy breasts and the light headedness too. I have also realised I am still getting out of breathe walking a certain distance or up hill, which I never used to before. I have noticed my itch coming a bit more on this week but still not enough to complain about. I am just really crossing my fingers it will stay like this for a good while again. Baby is doing great! He is all healthy and growing perfectly. He loves kicking his feet around and I actually got to feel his kick on my hand on Mother's Day! I was so happy. He is more active in the morning and some evenings but I have started to feel more movements and kicks during the day now too. He is definitely growing my bump each week. It's pretty hard not to notice now. We really can not wait to meet him now. We have a lot of clothes ready and a Moses basket but we need to buy so many other things ready before he arrives. I am feeling not to bad this week. I am glad I haven't been as stressed and emotional as last week but I think the excitement of feeling baby move more and the build up of excitement for the 20 week scan got me through this week. I have struggled some school morning runs because I get out of breathe pretty quickly now. I am so excited and glad I have reached the half way point and can not wait for these next 20 weeks to go by so we can just meet our baby boy. It's so exciting to know we will be adding a baby boy to our family, my partner won't be the only male in the house from July onwards! He is getting really excited too. The girls are feeling super excited and always asking questions about their little brother. Aww a kick on Mother's Day! Good luck with school runs. I miss being pregnant :( My kids keep asking for another little brother/sister. Just dont know if I could deal with 4 kids haha, although I do miss the smell of a new baby. Hi Beth, so glad to hear that you are not feeling quite as emotional as last week, that must be a relief for you. Fingers crossed your obstetric cholestasis doesn't get any worse as it really doesn't sound like a nice condition, dealing with the normal stuff pregnancy brings is bad enough without having to deal with chronic itching! Exciting times for you and your family. The nest twenty weeks will pass in a flash, I bet. Congratulations! It sounds like you're making great progress and staying healthy. Sounds like you are doing great, 20 weeks already!! I am keeping my fingers crossed for the itch to stay at bay.